Brian Lin, MD and Alonso Miguel, M.D. I think the most important point of dealing with patients who are worried about brown recluse spiders was glossed over at the very end! Their distribution is in the mid-south (eg. Kansas, Missouri) and there are no native populations established in many parts of the country (eg. CA). It would also be nice to hear about information that some Chilean recluses stowed away in ships in the early 1900s and established populations in LA (eg. Alhambra, Sierra Madre area I believe). We also have loxoceles deserta in the mojave desert but from what I've heard they live in native vegetation and don't have fangs long enough to produced human bites. I have waited a long time for this talk and I think some of the separating fact from mythology stuff would be good to add. Thanks for the comment, Daniel. I am glad (I think?) you liked the segment. 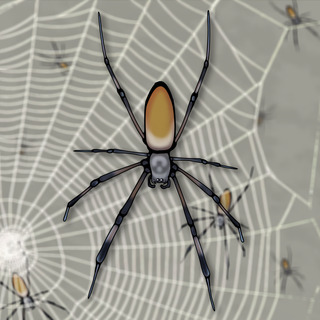 A large part of my inspiration for researching and recording the topic was my lack of exposure to patients with recluse spider bites (living in San Francisco), and the wealth of knowledge on the topic the docs in Santiago had to share during my visit. Hopefully it is a useful piece for people who live in endemic areas (ruling in) as well as those who don't (ruling out). I appreciate the additional trivia regarding the Chilean recluse stowaways to LA as well. I'll be planning to release a complementary piece with some info that didn't make the cut for the audio segment soon on www.lacerationrepair.com, look out for it! Hi Brian, definitely liked the segment and am a big fan of lacerationrepair.com too! This blog post has some great photos provided by Dr. Miguel of recluse spider bites in different stages of evolution! Very much enjoyed the discussion and I learned some great info! As a hyperbaric physician I have treated a handful of suspected BRS bites when they failed to heal after a number of months. They healed after HBO, but not sure if it was the HBO or just more time. As the child of 2 English teachers, me thinks however the acCENT was on the wrong sylABLE. /ˌlɒkˈsɒsɪliːz/ and /ˌlɒkˈsɒsɪlɪsəm/ are Lock-SOS-el-ees and Lock-SOS-il-ism respectively. With a Spanish pronunciation though, a word ending in a vowel or an N or an S has the accent automatically placed on the second to the last syllable unless an accent mark is written in to contradict the rule. Hence in spanish...Locks-o-SEL-ees and Lock-so-SEL-ism. Clearly I have too much time on my hands!